A BLAST FROM THE GREAT ONE: MARK LEVIN: IF RON PAUL GOES 3RD PARTY I’LL CAMPAIGN AGAINST HIS SON RAND……. – The Tundra Tabloids……. A BLAST FROM THE GREAT ONE: MARK LEVIN: IF RON PAUL GOES 3RD PARTY I’LL CAMPAIGN AGAINST HIS SON RAND……. REAL CLEAR POLITICS: Mark Levin, who was on vacation, came back with a fierce threat today. Levin promises he will do “everything in his power” to defeat Sen. Rand Paul if his father, Ron Paul, runs as a third-party candidate. “If Ron Paul decides that he is going to go third-party, which is detrimental to this nation, and pulls a million votes, which is relatively insignificant in the big scheme of things, I will do everything in my power to defeat his son in Kentucky. I will do everything in my power to defeat his son Rand Paul in Kentucky,” Mark Levin said on his radio program tonight. NOTE: If anything will wake up the self deluded Ron Paul from his ego trip, this will. If he persists however in going for the brass ring, he will destroy his son’s political career. The issues of the day are of that much importance Levin will do it, and I happen to like Rand. This is a major dose of wake up for the Paul clan. Previous Post Previous Post BRITISH SOLDIER FACES MURDER CHARGE FOR DEFENDING HIS FELLOW SOLDIERS……. Next Post Next Post IT’S IN: US DEBT OVER 100.3%, NOW 15 TRILLION 222 BILLION IN THE RED…….. The electoral process is a good thing, because it allows ideas to be discussed, even if that particular candidate cannot win. Some of those ideas get into the mainstream for future elections. There comes a time when, in the best interest of the nation, a lesser polling candidate has to look at his personal aspirations versus what is best for the country. Arguably, third party candidates as we know always influence elections. In different times, that would be an acceptable risk. This election is not one of those times. Any possible third party candidate knows the result is a likely win for the Democratic candidate and the future of democracy is at stake. This listing and beleagered ship needs to be turned around. All of the Republican candidates are known quantities and want the best for America. But the bleeding cannot be stopped unless one gets elected. If you believe Mark Levin can destroy Rand Paul in Kentucky then I believe you are the deluded one. Levin refused to support Rand Paul until he handed Trey Grayson’s arse to him in the primary, despite the Republican establishment’s best efforts. Levin then ran to the front of the parade and pretended to be leading it. I was a Levin fan, but I increasingly see him as a blowhard; indeed, he sounds more and more like Bill “Ted Baxter” O’Reilly. The real battle is in Congress. The President can do only what Congress allows him to do. To turn things around, we have to turn Congress around. Levin has stated that Rand Paul is a good conservative in the Senate. So why would he attempt to defeat Rand just out of hatred for Ron? Talk about cutting off your nose to spite your face! I’m a 53 year old life-long Republican, serving as a Committeeman now for over 2 decades. I can remember when it was leftist Democrats who always seemed to find ways to mire us in no-win wars. Now many pseudo-conservatives want to paint traditional Republicans as unpatriotic if they don’t join in rattling the jingoistic sabers. China clearly has threatened us. They are building a military that in a few years may be able to directly challenge us. The Chinese government has been very suppressive, and has murdered tens of millions of its own people. They have nukes. They have been attempting to undermine the US dollar as the world reserve currency. And what has our response been to the Chinese threat? Most favored nation trading status. Iran on the other hand has a rather impotent military that poses no threat to us. Even the current and former heads of the Israeli Mossad agree with that assessment and are opposed to an attack on Iran. But neocons like Mark Levin want to start yet another war by bombing Iran. Why? 50 years ago, Dwight Eisenhower tried to warn the American people to be on guard against the incessant march to war financed and promoted by what he called the military-industrial complex. Let’s also point out that Strangelove Levin and his fellow media whores are big government conservatives who support draconian restrictions on our rights to privacy and protections against unreasonable search and seizure all in the name of fighting a “war on terror” which is not really defined. Benjamin Franklin observed that those who would trade a little liberty for a little security deserve neither liberty nor security. Perpetual war necessarily means larger, more expensive, more restrictive government. Ron Paul has stated he has no interest in running 3rd party, just like in 2008. Yet blowhards like Levin continue to attack him just as though he has all but announced he will. In this regard I consider Levin the Great One to be the Great Jerk. If Obama wins re-election it will be because the Republicans have managed to put yet another neocon like McCain on the ticket, I personally made the mistake of working hard for George W Bush. I won’t repeat that mistake if the Republican ticket features a phony conservative like Newt or Mittwit or Perry. So, I take it that you’re a Ron Paul aupporter, what if Paul doesn’t get the nomination, are you going to vote republican or not? Also, just who are these “pseudo-conservatives” and these “traditional Republicans” you are referring to? Also, RP’s in-bed-relationship with George Soros is telling indeed. Levin’s dig at RP through his son Rand, was aimed at RP. Decisions have consequences, he’s in the big league. RP is a threat to defeating Obama in this year’s election, that is what Levin was arguing about and the reason why he let this shot rip across the Paul campaign bow. I will not ever be a supporter of nut-jobs like Ron Paul, a neo-confederate if there ever was one. Ron Paul’s positions, both in regards to domestic issues and to foreign policy, are in accord with traditional Republicans, including Robert Taft, Barry Goldwater, and Dwight Eisenhower. Your contention that Paul is a threat to defeating Obama is unfounded. You offer no evidence that another nuke-them-until-they-glow candidate would fare any better than John McCain did in 2008. You only seem capable of repeating the same ad hominem nonsense you hear from your heroes like Levin. Why are neocons, like Levin, so hateful of Ron Paul? Out of all of the candidates, RP has the most consistently conservative record on domestic issues. Even Levin clearly states that politicians like Romney, etc., are not really conservative. 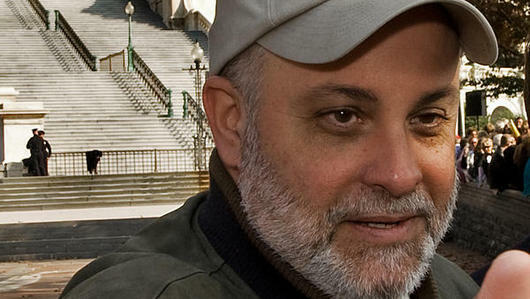 Yet, Levin is willing to support Romney or some other faux conservative. However, RP is out of the question. Why? It must be foreign policy. RP isn’t willing to send multiple billions in foreign aid to other governments, including the one in Israel. Nor is RP willing to bomb out other countries for Israel’s advantage in the Middle East. It seems to be all about Israel. So maybe you can enlighten us. Certainly, our brave veterans who tell their story here, //www.usslibertyveterans.org/, want answers. //www.gtr5.com/, the USS Liberty Memorial, tells the story of the brutal attack on the USS Liberty by Israel. Israel tried to sink our ship. The fact Israel also wanted to murder everyone on board is underscored by the fact that Israeli forces machine-gunned the life boats – a war crime according to international treaties. We know the story, because Israel failed. Had Israel succeeded, and no one survived to relate the story, we would have gone to war against Israel’s neighbors. Talking heads like Levin and the Faux News crowd still today would be pointing to the sinking of the USS Liberty as a reason to preemptively bomb countries like Iran because they threaten us so. Let’s recap: Iran has a 4th rate military and has not attacked us, but we are supposed to bite our finger nails in fear over the Iranian “threat.” The Israeli government HAS attacked us in overt acts of war, and in the process has committed WAR CRIMES against us. But we are supposed to continue sending billions in aid to the Israeli government, despite the fact that it has the world’s 4th largest military and 6th largest nuclear arsenal, and can in fact take care of itself. Iran has signed the nuclear non-proliferation treaty and has UN inspectors on the ground who have certified that nothing Iran is doing is contrary to the treaty. So who are the real kooks: traditional Republicans, like Dr Paul, who want to put American interests ahead of those of all other countries, including Israel, or the blood-thirsty neocons who are looking for the next Gulf of Tonkin incident to justify yet another war? When you respond, please stick to facts and logical arguments, instead of the typical neocon sound bites and name calling. The facts of the matter are undisputed. Ron Paul co-authored an article [1.] with big Lib Barney Frank at the Huffington Post spelling out their desire to gut the US military. Ron Paul is therefore in the public record for putting a bunch of Soros-funded think tank experts (9 out of 14 are from George Soros linked organizations, (read =socialists) in charge of gutting the US military, something you no doubt are in agreement with. That in itself is “telling indeed”. Your label of “neocon” in regards to Mark Levin, is just an euphamism for Jew, so why don’t you just come out and say it, the Jew Levin? You’re not fooling anyone here, especially me. The only reason he would support a Romney over a Ron Paul, is that he detests, a. the hate America crowd, that goes around trashing the US jut like Obama and Ron Paul does, b. the man is a serial liar and a bigot and an anti-semite. You then (predictably I would add) use the “Israel card”, ok, fine fair enough, you don’t support the US’s relationship with Israel as is, in fact, you’re totally against it, but that’s a fair criticism. But then you bring it up in the context of Mark Levin being a Jew, so therefore he has got to be against Paul becuase of his negativity to the alliance! You also bring up the canard that the US is bombing the Muslim ME because of Israel, instead of from the fact that we were attacked by Islamonazis. That’s smacks of anti-Semitism, whether you intended it or not. Then you bring up the USS liberty, (all of the anti-Semites do, it’s something that they share/have in common with vitriolic anti-Israel types) which has been totally debunked by Judge A.Jay Cristol in his book The Liberty Incident. There have been many fact finding trips and investigations into the incident and all have found it to be a friendly fire mishap. But that will never be enough for you anti-Israel (read = anti-Jew) types, for any evidence offered to the contrary becomes a part of the conspiracy, so hence the high number of Ron Paul supporters who indulge in such nonsense, as well as believing that 9/11 was an inside job. True fruitcakes. Iran is a danger not only to Israel but to the entire fragile balance in the region and in Europe as well, and to their own people and the world’s fuel supplies. That makes it very important if a radical Islamonazi regime has nukes, but in a Ron Paulian alter universe…no. So let’s recap, you’re a freaking moron and a jerk who’s backing a losing candidate who has lost his marbles. So get lost you dope, I hear your mommy yelling to get off the computer, you’ve past your alloted time for internet use. You’re an idiot and a moron, case closed dufus, take a hike. You’ll no longer pollute my site with your crap.